So you’ve decided for some reason or another to spend some time in Austin, Texas. Since you are reading this, you probably have been searching for really great information on where to go and what to see while there. Well, you came to the right website. This comprehensive gems list will provide you with a truly unique perspective on the city. Austin Party Ride transports clients in limos and party buses to these and other locations year round so we have a good bit of insight into where the hot spots are. We will take you through the city from an insider’s perspective if you will. Hitting only the must see’s and must do’s of this great city. So get ready and take notes because these 19 hidden gems of Austin are what you need to see and experience while there. The first hidden gem of Austin is completely unique and revolutionary. It’s called the Austin Panic Room and it’s a fantastic place to visit by yourself, with large groups of friends, or group dates. It’s located literally in the heart of Austin right off of Rio Grande Street. Their corner storefront actually looks like a combination between a house and a museum. You can’t miss it if you look for the large “Austin Panic Room” sign to the left of the door. Parking is conveniently located in the back and you can exchange your ID for a parking pass inside. The Austin Panic Room is a place where you or groups of people essentially try and solve a mission by being placed in an enclosed room containing tons of hidden clues. The objective is to accomplish the mission and escape the room before your 60 minutes is up. Before you begin the challenge, you determine what type of mission to attempt. The options are the bomb room, the abandoned school room, and the museum room. Each containing different objectives and clues. The best part is they constantly come out with new rooms every six months so customers can return and challenge themselves on a new mission. It’s a great team builder activity. 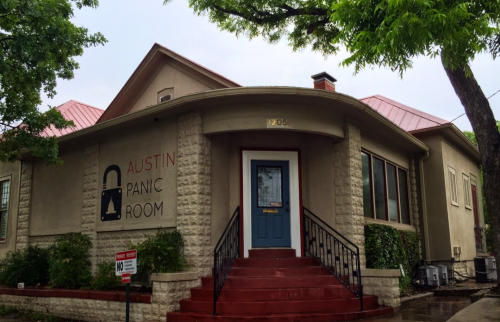 You really get to know someone after experiencing what Austin Panic Room has to offer. All you have to do is make a reservation for your group or just show up and hope they aren’t booked. Who knows, will it be you that’s next to get their picture on their hall of fame wall? At only $20 a person, it can get addicting! Just remember, clues are everywhere and in everything. They have been strategically placed in these rooms for a reason. Be sure to think outside the box and you will succeed! The Firehouse Hostel and Lounge is truly a gem of a gem. Located seconds from 6th street and amidst all the hustle and bustle of downtown, this hostel is in the perfect location. It was built in 1885 in the 3 floors of Austin’s oldest standing fire station, so it’s been around for a while. Parking can be somewhat of a challenge at times but there are several pay lots located nearby. They offer a number of options for spending the night in Austin including up to a 12 person room. In exchange for booking a night at Firehouse, you also get access to free Wi-Fi, a free breakfast, bedding, and towels. Not spending the night or have other lodging arrangements you say? No problem, Firehouse has you covered there as well. They have this very nice club/lounge on the first floor located behind a bookshelf. 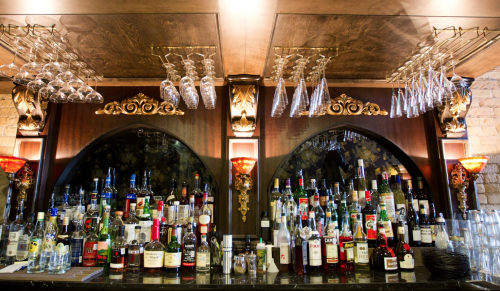 It was designed to be a prohibition style speakeasy lounge. How unique is that? They serve great pre-prohibition drinks, large cocktails, and a wide selection of food. The whole hostel and lounge really make you feel like you are stepping into a time machine and are back in the 1920’s avoiding the police while getting your drink on. They frequently have live musicians playing in the lounge as well which adds to its popularity and allure. We think the best part about Firehouse is the social aspect that comes with it. You can show up at the doorstep and inexpensively book a room with 11 other people. It gives guests a much greater opportunity to find friends almost immediately than a traditional hotel would offer. The fact that it’s also so close to 6th street makes it very popular among a younger active crowd. When you come to Austin, you are surely going to tour 6th street. While you are there, make a point to check out Firehouse Hostel and Lounge as it’s become one of Austin’s premier locations. One of the most unique bars/clubs to make this list of 19 hidden gems in Austin has to be the Midnight Cowboy. It’s basically a little oasis along 6th street where patrons can get away from the noise and commotion for a time. Chances are that if you have walked down 6th street any number of times, you have probably walked right past without knowing it was there. To be honest with you all, it’s completely hidden from the public! Even their website says they are a modeling company. The whole business model for Midnight Cowboy is genius! But by now you are probably wondering how anyone gets in. It gets crazier! The bar is located right along 6th street and the best directions we can give are to tell you it’s next to the 311 Club. Look for the red light above the door and you’ve found it. It’s all about presentation at Midnight Cowboy. You have to walk up to the locked door and you will see a number of names you can ring, just like they have at apartment buildings. You need to ring Harry Craddock and an attendant will immediately open the door. Upon entering, you find yourself in the middle of a speakeasy designed to look like the 20’s. Reservations are recommended there as you will be assigned your own little area and table, just like a modern day club. If there are open tables then you will see a lit vacancy sign above the door outside. In the Midnight Cowboy, you get more personalized service. Your waiter or waitress will make your drink from scratch right in front of you. They make them huge as well which is a big plus. If cocktails aren’t your thing then they do also have a nice beer and wine selection. It’s great to be able to hold a conversation with your friends and loved ones in complete privacy at the Midnight Cowboy. It’s like your own private club located on the always packed Sixth Street. They don’t even allow cellphone calls or laptops. Privacy and noise is kept to a minimum there. Be sure to bring your party of 7 or less though as that’s the maximum amount of people they can fit at their lounge tables. 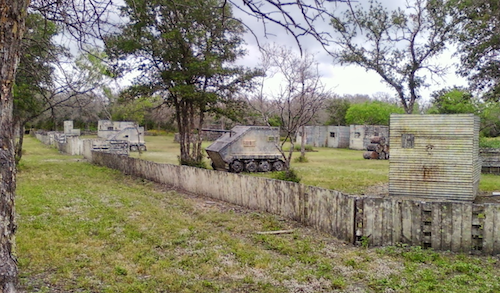 On this list of 19 hidden gems, the most exciting and exhilarating activity has to be a visit to Extreme Paintball of Austin. This place makes you feel as if you are in the midst of a combat zone and need to shoot your way out! It’s a war out there and you and your team must eliminate the enemy team by pelting them with high grade paintball guns. Paintballing has adrenaline and masculinity written all over it. Extreme Paintball of Austin is conveniently located just 30 minutes from the heart of the city and is actually the closest one of its kind. Most of us are familiar with paintball guns but few of us have actually tried out our skills on an actual paintball field. Well, you will have your chance on your next visit to Austin. Maybe you are looking for a really fun corporate outing that has never been done before? Perhaps you need to get the kids out of the house this coming Saturday and don’t know where to go? Extreme Paintball is a hit with just about any person or group. You show up to this huge facility on over 15 acres of property and immediately rent some gear from the main office. Be sure to make a reservation for the supplies as you just never know if they will all be taken as this place does get packed. Extreme Paintball will supply you with everything you need, just make sure to wear comfortable and non-restricting clothing. Clothing that you don’t mind getting dirty is key as you will most likely be crawling through the mud and bushes to setup your next sniper shot. After a brief safety meeting, you are ready to choose between 7 paintball fields. These aren’t any ordinary fields though, they were all carefully designed and built by combat veterans and former players. They have massive trenches, huge obstacles to hide behind, and special ambush areas. Competent refs are on each field to keep people from cheating and to make sure everyone is safe as well. Extreme Paintball is open all the time on weekends, but be sure to call beforehand for weekdays and holidays. If you are bringing any minors, be sure to bring a waiver signed by a parent. You really can’t go wrong with spending a Saturday there with your kids or co-workers. It will surely be a team building activity that will be remembered forever by all involved. That’s what you are going for right? Austin is home to some of the greatest food in the nation and some Austinites might call that statement more fact than opinion. The city is located in the heart of Texas and there are a lot of different cultures there who have brought with them recipes and specialty foods. Regal Ravioli is no exception to the rule. It’s a stationary food truck located in the heart of downtown Austin just minutes from the hustle and bustle of 6th street. Now, for those outsiders that haven’t visited Austin before, they might not know about the food truck situation there. In most cities, you don’t think of food trucks as having great tasting food. The exact opposite is true of Austin. Great food trucks are everywhere in the city. Seems like everywhere you look, you can find at least one or two. With so many choices in food trucks, Austin Party Ride decided to vet out the sub-par ones and only focus on a few elite choices. One of the absolute best choices is Regal Ravioli and let us tell you why! In August of 2011, Regal Ravioli got its start as a food truck in downtown Austin. Zach Adams, the owner, had the idea of offering handmade pasta and other Italian fare for a very reasonable price. Yes, you definitely read that right, this food truck offers completely made from scratch Italian food! Austin Party Ride highly recommends trying out the cheese ravioli and their meatball sub if you haven’t yet experienced Regal Ravioli before. They also have a ton of great sauce selections but the Bolognese sauce was to die for. To help you clean your plate, each dish also comes with fresh baked garlic bread. Parking usually isn’t a huge issue there which is a plus and there is plenty of space to eat outside under their shady picnic tables. Regal Ravioli is a little pricier than most food trucks but trust us, it’s worth the cost of admission. Having a “Made from Scratch” Italian meal for a couple bucks more than most food trucks is completely worth it to us. Be sure to plan a meal there on your next visit to Austin or you will regret it. It’s some of the best food you can find in the entire city. I’m sure it’s happened to all of us coffee fanatics at least once in our lifetimes. We spend the night in a hotel and the next morning realize that their morning coffee is sub-par at best. Well, since you’re reading this article and you happen to be in Austin, we have you covered. There is an absolutely amazing little coffee bar located on the corner of 1st street and Park right in downtown Austin that will blow your mind. The place is called Summer Moon Coffee and is a must experience while in Austin. Summer Moon’s wood fired coffee is just about as unique of a coffee spot as you will ever find. One June 27, 2002, they began as a small coffee bar with some of the best coffee in town. The experienced owners then decided to get into coffee roasting to make their product even better. 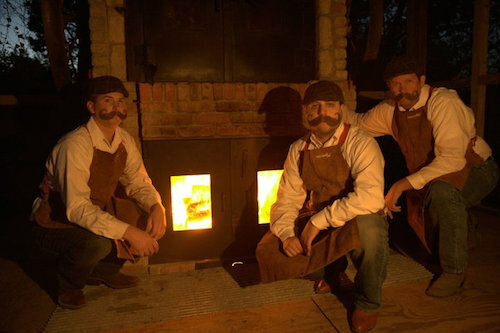 In order to do this, they handmade their own wood-fired coffee roaster. This large roaster combines brick, fire, and wood to craft custom coffee roasts. Now bear in mind that this roaster is one of a kind. It’s not commercially made and there is no other like it so you know that your morning coffee will be a completely unique experience. In order to roast the beans they use to make your cup of Joe in the morning, it takes 3 people per day just to make them perfect. When you get to Summer Moon, be sure to ask for some of their moon milk creamer as well. It’s very rich in sugar and deliciousness and makes their coffee even better. Try one of their breakfast tacos too, they are perfect for a morning snack. In a morning rush like most of us? They recently implemented an online ordering system so you can order your selection, swing by the store, and be out within minutes. It’s really very convenient. The place does get a little busy at times as their coffee tastes so good but seating is generally not an issue. They even have an outdoor patio for large groups but it seems like they could fit 100 or so people inside the store at any given time. Get some work or homework done while enjoying your coffee at Summer Moon as well. Their Wi-Fi works great and it’s completely free. Coffee snobs are really picky about their coffee. There are a huge number of shops in the area but Summer Moon really sets the bar pretty high. They have even opened up another location in Buda for those that live nearby. Be sure to get some wood fired coffee at least once on your adventures in Austin. Summer Moon just gets it right. It was truly a pleasure for Austin Party Ride to review a place as upstanding as My Epic Adventures out of San Marcos, Texas. This company provides both kids and adults with amazing adventures and experiences all over the Texas area and beyond. From a weeklong rafting trip on the San Marcos River to climbing mountains for 22 days, My Epic Adventures has something for everyone. 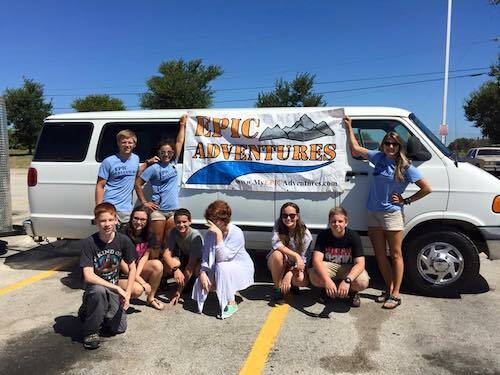 The experienced owners at My Epic Adventures began as just a summer camp for teens. Now, they offer year round activities for just about anyone, with or without experience. You are probably wondering what makes this place different from any other camp in Austin and the answer is that My Epic Adventures promotes personal growth, outdoor adventures, and goal setting. The whole point of these adventure trips is to build confidence for all involved. Allowing customers to set and achieve very difficult goals is a sure way to make people feel better about themselves. It seems that most other camps just provide a vacation from the daily grind. My Epic Adventures wants you to accomplish something that will change you forever. Is this place safe for teens and kids though? Don’t worry, all trip leaders have passed advanced wilderness classes and are fully prepared to guide you or your children through all obstacles and challenges they might face on their mission. They also periodically update parents on the progress of their son or daughter during the quest. No experience is necessary though, just be sure to have a go getter type of attitude. My Epic Adventures has the potential to change your life. They say that confidence and self-esteem are built by achieving tasks and challenges. Get out there and prove you’ve got what it takes and come home a better man or woman. Every once in a while people come to a point in their lives when traditional medicines or modern practices just aren’t helping with back pain, leg pain, headaches or any other common ailment. People in this situation frequently look for ulterior treatments. What these seekers find is a place like Zen Well Massage Spa located just 18 minutes from downtown Austin. Now before you put Zen Well into the category of just another massage joint, pay attention to why they are different and one of the top 19 hidden gems in Austin. There are a lot of places like Zen Well near the city but what makes this spa so different is their atmosphere, their huge selection of services, and the quality of their craft. The atmosphere is perfect for a luxury spa. When you walk into a place like this, you want it to be dimly lit and have the sound of running water everywhere. Zen Well has all of these covered for you. It’s absolutely gorgeous inside, like a little Buddhist oasis if you will. Many of their customers state that after their session was over they just wanted to lay down and sleep right where they were! As far as services go, Zen Well has you covered with just about anything you could want. Thai Massage, hand and foot reflexology, chair massage, facial massage, prenatal Thai massage, or you can even purchase any combination of those services. Prices vary according to the type of session you have but are comparable to other spas in the Austin area. They even have a really cool sauna that emits infrared heat that penetrates deep into joints, tissue, and muscle, speeding up the intake of oxygen in those areas. No EMF’s though so you don’t have to worry about that. Need to lose some weight really quick? This special sauna allows people to burn away up to 600 calories in a 40 minute session! They really try to make every treatment special for their customers at Zen Well. It seems like they don’t just go through the motions, but really put thought felt effort into their craft. If you are needing a Swedish massage though, then you better think again. The experienced owner, Bethany Bryan, believes that Thai massages are similar but much more therapeutic than the more popular Swedish treatment. Come on in and try out Zen Well for yourself. You’re visiting right? Why not pamper yourself and feel like a million bucks. They even allow you to book online which helps those of us that know exactly what treatment we want and when we want it! The next place on this list is a hidden gem that not many people have discovered yet. Perfect for those of us looking for an absolutely fabulous place to eat without the hassle of long lines. Little Deli hails themselves as a locally owned northeastern style deli and pizzeria. It’s located on the corner of Woodrow Avenue and St. Johns, on the north side of Austin. When most people think about pizza and regions, New York and Chicago immediately come up. 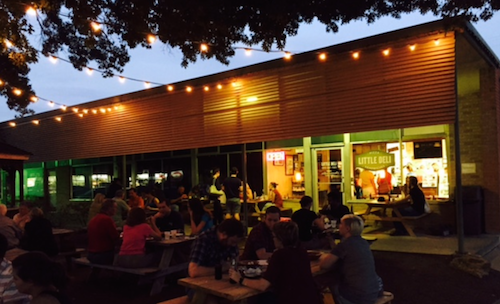 Well, Little Deli is a bit different in a big way, offering New Jersey style food in Austin, Texas! Those of you who haven’t eaten New Jersey style pizza are for sure missing out! Get over there and try a slice today! If pizza isn’t your thing then they also offer both hot and cold sandwiches as well. All their selections come at a very reasonable price for the amount and quality of food you will be getting. Dog friendly too! How cool is that? Bring your dog and eat authentic NJ style pizza! As far as the food goes, we at Austin Party Ride recommend their spicy Hawaiian pizza. We also can’t stop talking about their Reuben sandwich and meatball sub either. You really can’t go wrong with anything at this place. Even their salads and soups are made fresh everyday by management. As far as seating goes, Little Deli has you covered with an indoor area as well as a gazebo/outdoor area for expanded seating under a bunch of oak trees for shade. Get there early and bring your own alcohol. Ask the hostess for a bucket of ice to put your brews in when you get there. Right next door is a convenience store where you can pick up some cold drinks and just bring them on over. Be sure to check out this hidden gem of Austin before it gets too popular! 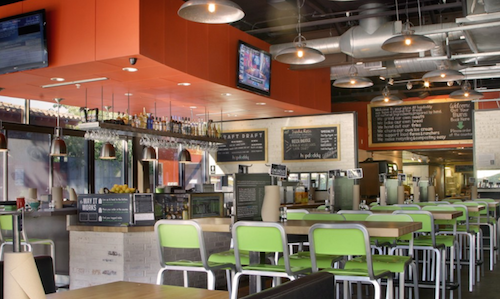 Now is your chance to have the inside scoop on one of the best tasting restaurants in Austin! So many of us are just sick and tired of the same sandwich places. Subway, Jimmy Johns, and even Thundercloud subs have us watching their commercials on T.V and drinking the cool aid. 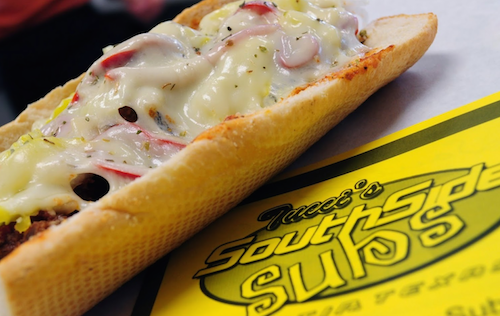 These sandwich places are good once in a while but if you are looking for a premier sandwich joint then you must try out Tucci’s Southside Subs. Your opinion of sandwich chains might change drastically! Tucci’s has two locations and growing but the one we will focus on in this article is located on the corner of the 35 and Williams Cannon Drive in the south Austin area. This hidden gem was founded by a guy named David Tucci who has been making sandwiches for roughly 21 years now. All this practice and impeccable taste has led David to recreate his masterpieces for the masses. This unassuming sandwich shop is located in a small shopping center and has a hole in the wall feel to it. One of the reasons for their success is they use exclusively Boars Head meat and literally everything is fresh fresh fresh. Even their bread is locally baked fresh every day. If you are sandwich lovers like we are then you know how important the bread is on a sandwich! You get your choice of either a 7″ or 14″ sandwich but be warned, the 14er is gigantic! Tucci’s offers a multitude of different types of sandwiches but if you know what you want, you can even design your own. Don’t forget to add a fresh pickle to your order for maximum deliciousness. Their Jalapeno Philly cheesesteak is amazing and so is their chicken salad. It’s so good, in fact, people are beginning to come from all over Austin and even the country to enjoy Tucci’s NYC and Philly inspired sandwiches. Although we didn’t get a chance to taste their soup, it’s only available in the fall and winter, those selections also get rave reviews. Tucci’s is truly in a class of its own when it comes to sandwiches. They blow away the chain sandwich stores in a big way. Come on in on your next visit to Austin and you might never go back to the big chain stores again! Every city should have a great hot dog joint. A place that serves not only Chicago style dogs, but other exotic dogs as well. Hot dogs you probably have never heard of or even tasted! Well, in Austin, this place is called Frank and it’s located on the corner of 4th and Colorado. This place is as legit as food establishments get. It’s delicious and carries just about any type of dog you could possibly imagine. 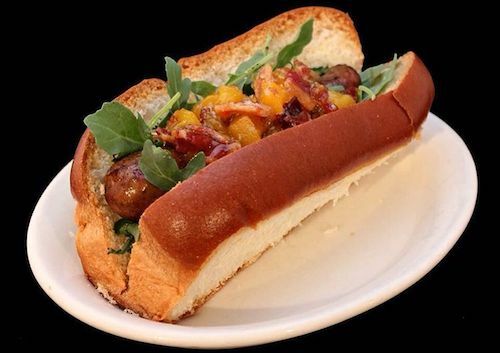 Have you ever eaten a hot dog made from alligator? How about rabbit, antelope, or kangaroo? If you haven’t then you really need to experience Frank ASAP. The place is decorated well and has plenty of seating. It can get busy during peak times but the wait is well worth it. They call themselves purveyors of Artisan sausage and it’s true! The best part about this restaurant is they have bar hours on the weekends. Closing at 2am allows those with the late night munchies to get their fix after hitting up the bars along 6th. What do they have besides the dogs you ask? Their fries are some of the most delicious and unique in all of Austin or maybe Texas for that matter. Some of their better selections are their Reuben fries and queso fries. To drink they serve cocktails, beer, spirits and wine. Frank is kind of like a bar/hot dog joint. Nothing goes better with a fully loaded Chicago style hot dog than a nice draft beer. If alcohol isn’t your thing then they also have killer shakes and believe it or not, freshly brewed coffee as well. Many in Austin are health conscious or prefer gluten free food. Frank has you covered there with vegan hot dogs for no extra charge as well as gluten free selections. Frank is a stand up place. Great food, great drink, and quick service. What else could you ask for from the best tasting hotdog place in all of Austin? In Austin, it’s pretty hard these days to avoid eating at the delicious food trucks located throughout the city. They are everywhere and anywhere you look. In most cities, food trucks are looked at as dirty and greasy but in Austin for some reason, they have been perfected. Be More Pacific is no exception. It’s downright delicious and serves up some mean Filipino-American food! They travel around the city and setup shop in different locations every day. Now, it might seem difficult to some of you to actually locate this wandering food truck if it’s constantly on the move. The answer is pretty easy as they advertise their locations for the day on their Facebook and twitter pages. Follow them now! Make sure you are hungry when you get to Be More Pacific because they serve up some sizeable portions for a moderate price. We have sampled their Longanisa and adobo chicken and it was delicious and satisfactory. 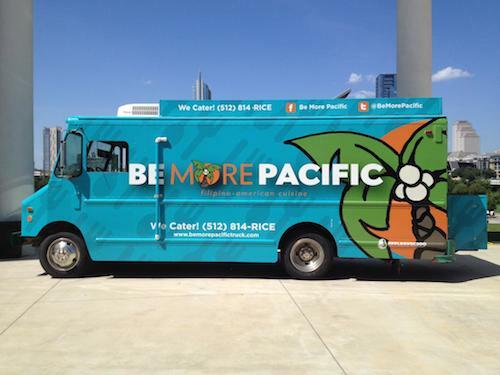 Established in 2011, Be More Pacific is clearly ahead of most other food establishments. Everything inside the vehicle looks sanitary and clean which is comforting when dealing with a food truck. A slick new paint job also makes the truck appealing to the masses. Get there quick though because anywhere there is good food in Austin, there tends to be a line. Don’t worry about the wait time though, they are usually pretty prompt on getting the food out to you. 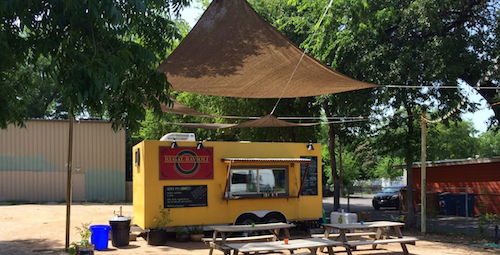 Austin is filled with food trucks, more so than any other city we have visited before. Be More Pacific is definitely on the top of the ladder because of their better than restaurant food choices. 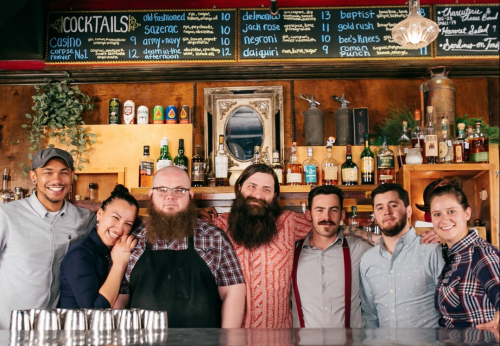 Be sure to check them out on your next visit to Austin. Follow them on Facebook and Twitter so you are always in the know on where they will be located that day. They have quicker service than most restaurants and the food quality can be just as good if not better than brick and mortar establishments. For those of us who live in Austin, we know there are gyms at just about every corner you look. We’ve all been in them, maybe we’ve even signed up with one or two throughout our lifetime. Why do we join these gyms? Because we want to lose weight mostly. Maybe we want to gain some muscle mass or meet people but we all usually want to lose some extra poundage. 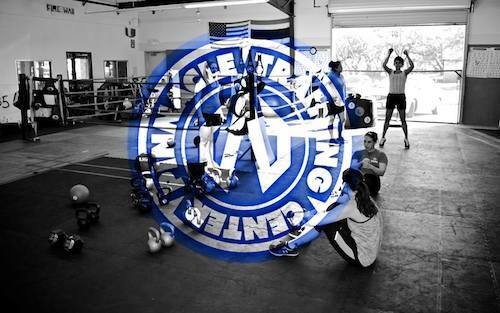 Pinnacle Training Center, located in Cedar Park is a whole lot different from the rest. Pinnacle allows you to lose weight, gain muscle mass, as well as learn a highly skilled craft such as Muy Thai, kickboxing, boxing, Brazilian Jiu Jitsu, fitness training, and even yoga. It’s located right on the corner of Whitestone Blvd. and Walton Way which makes it very convenient to get to. This is pretty important when picking a gym to work out in. If it’s too far away, you are very unlikely to make the trek out there on a Saturday morning. So, how does Pinnacle work you ask? Just like any gym, they offer memberships as well as day passes. Don’t know what self-defense skill you are interested in? They also offer a free class so you can experience what it’s like instead of just signing up for a long term commitment. The staff at Pinnacle are extremely knowledgeable about what they are doing. They are always in the best of moods and are sure to get you back into college shape again. Stop going to your regular gym where you show up and under your own will power, lift those weights over and over. Pinnacle will fast track your progress by offering you fun and challenging classes without the hefty price that most gyms offer. Don’t just lose weight. Gain a skill, get your self-confidence back, and get your life in gear! Today is the day! No more procrastination! Wow, what is there to say about the most popular improv comedy club in all of Austin? The Hideout Theatre and Hideout Coffee shop are truly some of the greatest hidden gems in all of Austin. It’s amazing how many people pass by this place without ever knowing what goes on inside. It’s located on the southwest corner of 7th and Congress which makes it very close to 6th street and other popular downtown Austin attractions. Most of us have been to a comedy club before where we watch a comedian or two showcase their prepared content. The Hideout Theatre is a little bit different in a major way. 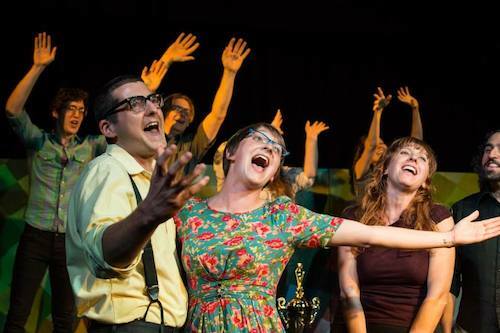 Improv is a much different style of comedy and truly needs to be experienced to understand. It is on the spot comedy, no prepared content. It’s live and no show is ever the same. In fact, they are all totally different as the audience gets a chance to shout out ideas for the performers to act on. If you want an exact definition, improv comedy is a form of live theatre in which the acting, plot, dialog, and characters of a story or scene are made up in the moment. Hideout Theatre doesn’t allow you to bring in outside food or drink to enjoy during your hour and a half show but they have partnered with Hideout Coffee which is located in the same retail space. The popular coffee shop offers coffee and pastries for you to enjoy while watching great comedians perform live. There is usually plenty of seating in the theatre but parking can sometimes be an issue. To be honest with you all, you usually have to pay for parking. Since Hideout is in the heart of downtown, there are plenty of garages and lots nearby for you to choose. Tickets for a show aren’t that expensive and usually run between $5 and $15 bucks a pop. This gem of a theater is open from Thursday thru Sunday and is a must see when in the Austin area. It’s also one of the best date ideas that few have heard about so far. Nothing like breaking the ice while laughing together for an hour and a half. Be sure to hit up the Hideout Theatre and Coffee Bar on your next trip to downtown Austin. It’s worth it and frankly, it’s hilarious. Although Twisted X Brewery isn’t located exactly in Austin per say, it’s worth a scenic drive from either San Antonio or Austin and we’re about to tell you why. Twisted X Brewery is a relatively new brewery founded in 2009 by Jim Sampson and Shane Bordeau. They came together with exactly one goal in mind, to create Mexican style beer brewed in Texas by Texans. They have done an incredible job at this as is evidenced by their rapid expansion and cult like following after only 8 years in business. The beer as stated earlier is brewed by hand right at their location at 150 and Springwood Road. They even use local ingredients which was part of Jim and Shane’s plan to create a very local beer that appeals to the masses. You can find their brews in some select stores but you really need to go to the brewery directly to taste some of their beer that is only available in the notorious tasting room. While all their beer is popular, some of Austin Party Ride’s favorites are their Fuego Jalapeno Pilsner and the Cow Creek. They are always coming up with more selections though so stop by often! Twisted X has plenty of parking outside even on their regular steak nights so you know you can always find a place for your vehicle. The brewery does get busy and their location isn’t that big but it seems like the more busy they get, the better the atmosphere is. Although the brewery is newer, the word has gotten out and people come from all over the place to enjoy hand crafted brews there. If you are hungry, make sure to check out their events page on their website too. They frequently have steak nights, taco nights, pig roasts, and even specialty Cuban sandwiches night! On the other days when they aren’t offering food, there is usually a food truck parked outside with cheap burgers and fries for a drunken snack. The staff is very knowledgeable about their craft and make everyone feel comfortable. If you need to get some fresh air, they have a scenic patio outside with lots of competitive games. We played Jenga out there for hours! You won’t find them playing a lot of music from their surround sound speakers though, more often than not, you will find live music by excellent musicians for your listening enjoyment. They are open 7 days a week and if you want some great merchandise to bring home from your trip to Twisted X, then you are in luck. They have a ton of great gear including t-shirts, hats, beer glasses, cozies, and bottle openers just to name a few. Twisted X is becoming more and more popular as the days go on. Their beer is starting to show up just about everywhere you look. Go and visit this hidden gem before it becomes another Coors or Budweiser. Act fast! When visiting Austin, you might be excited to visit all the various restaurants, bars, and food trucks on this list. Chances are you aren’t thinking about the best place to pick up a cup of Joe in the morning. Well, not any more. There is a small place located along Cesar Chavez Pkwy that has the best coffee money can buy in the Austin area. 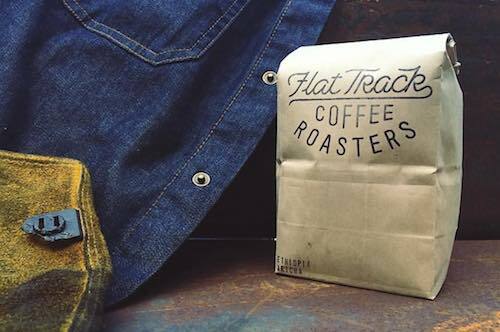 This place is called Flat Track Coffee and it’s a must see and experience while getting ready for your day in the lone star state. Heck, while you are there, you also might want to dip some of their vegan donuts in said coffee for an excellent experience. Flat Track is in a category of its own in Austin. The coffee is delicious, don’t get us wrong, but it’s actually the cult culture there that keeps us coming back for more. It’s got kind of a hipster, motorcycle like feel to it which makes this place unique. Flat Track is in a small area and if you aren’t careful, you might drive right past it. For directional assistance, it is located right below the head on the large wall mural of a man laying down reading a book. Can’t miss it based on those directions! Everyone seems to know each other at Flat Track as well. Probably because of all the locals and regulars that frequent the place but it’s not too big for newcomers to still fit in and enjoy coffee among friends. They must spend a lot of time on their hiring process there because the employees make everyone as comfortable as possible. As for their coffee, get a latte, espresso, or just a cup of coffee. It’s all ground in house for epic taste and drinkability. Did we mention its pet friendly too? Yep, bring your cat, dog, or pet snake if you so choose. Okay, maybe leave the snake at home but you get the point. Reasonable prices are yours here at Flat Track so you can get your morning caffeine buzz without breaking the bank. If you like Flat Track enough, they have a large selection of gear that you can purchase as well. Shirts, coffee cups, buttons, and more can be purchased for a moderate price and allow you to represent some of the best coffee in Austin! Great coffee is a must for us caffeine fanatics. Flat Track gets it done for us without the hefty price tag. Come on in and get your buzz on while making new friends there! When one thinks of Texas food, it’s pretty common to think of big juicy burgers. After all, this is Texas isn’t it? Hopdoddy’s is an amazing burger bar that actually has two locations in Austin. For simplicity, we have chosen to highlight the location at Congress and Gibson but every Hopdoddy’s offers the same great food. Follow the crowd for delicious food in Austin for sure. They usually have a line and it can be long but they are as efficient as possible. Moving large quantities of people through the line with free waters and plenty of staff to help take your order as soon as you get into the restaurant. Once you get past the line though, you will get your food almost as soon as you take a seat. The burgers there are out of this world delicious. We at Austin Party Ride have never had one so delicious and tender. No burger is complete without condiments though and Hopdoddy’s happens to have spectacular sauces with names such as honey horseradish mustard, and homemade BBQ sauce. Are you a milkshake fan? Be sure to try one at Hopdoddy’s and it will change your thoughts on milkshakes forever! What goes best with burgers? Well, fries of course and they have multiple options to choose from. Hopdoddy’s is currently one of the fastest growing hamburger chains in the USA. They are already in a number of states so jump on the bandwagon and find out why! If it’s on Austin Party Ride’s list of 19 top gems in Austin, you have to try it out! If you haven’t heard of Franklin’s Barbeque yet then you must either be living under a rock or from out of state. This famous BBQ joint has thousands of positive reviews online. At well over 4 out of 5 stars, Franklin’s knows exactly how to grill up some great grub. Who doesn’t love BBQ anyway? You must eat here at least once in your life if you visit Austin. Before you show up though, there are some things you need to know. This place is just about as busy as any restaurant or business establishment we have ever seen. People actually start waiting in line before 7 in the morning on most days. Yes, you read that right. Get there early! Bring lawn chairs, cards, games, and umbrellas, but not food! If u get there early enough then you will get a spot in the shade otherwise you might have to brave the Austin sun for a few hours while anxiously awaiting your turn to order. It’s like waiting in the lawn for your favorite concert though. You and everyone around you are there waiting in line for the same purpose. This helps facilitate making friends as well as making conversation among strangers easier. At Franklins you will meet people from all around the world. Another tip of advice would be to order your food in advance or purchase your BBQ platter chilled so that you can avoid the line and just heat up your food at home. Also, be sure to order a lot of food. Pounds and pounds of it if you can. People spend hundreds of dollars here for just a few people so they can have leftovers for days and avoid the line again. Franklin’s brisket is the best you will ever try. Some even go as far as to call it life changing. Some customers go to Franklins and never see BBQ the same way. It just really is that good. BBQ in Texas is no joke and Franklins absolutely nails it. They offer not only the best BBQ in Texas, but it’s also very fun to be part of their cult like following. It’s famous BBQ and it’s famous for a reason. Franklin’s should not be missed when in Austin. There are obviously a lot of great places to dine out in the Austin area. Some of the most delicious and satisfying types of food is known as Pho. Pho is essentially Vietnamese food and not a lot of restaurants in the area seem to be able to get it right. If you don’t pick your restaurant well, then it can be hit or miss as far as how delicious the food is, how clean the restaurant is, and how expensive it is. There is a place called Pho Saigon located right off Lamar Blvd and Prairie Trail that is just dominating the pho lovers market in Austin. It’s located in a very oriental area which definitely helps with the authenticity of their food. This Vietnamese and oriental restaurant really gets it right in a big way. With hundreds of positive reviews online and a seemingly unstoppable cult following, you really can’t afford to miss this hidden gem of a restaurant when in the area. Pho Saigon is an upscale sit down establishment without the hefty price tag. 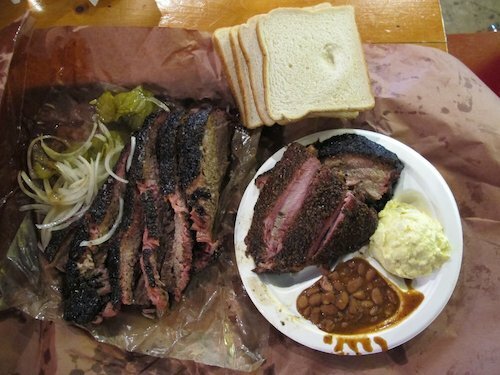 With big portions and incredibly quick service, we at Austin Party Ride give this place 5 out of 5 stars. When you order, you will notice that the menu is pretty extensive. They have pretty much anything you could order in Vietnam right there in Austin, Texas. Bring a date to this restaurant too. Most of us gringos don’t know much about Vietnamese food and what a great ice breaker it is to try something new! 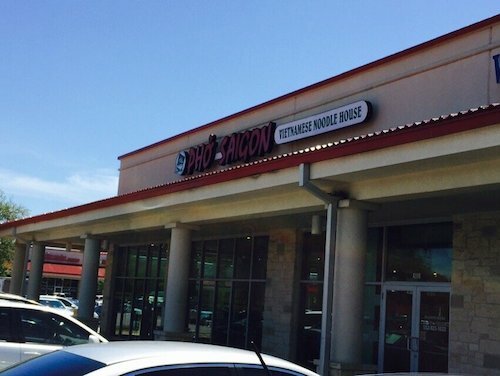 One can see pho restaurants all over Austin but in Austin Party Ride’s opinion, Pho Saigon takes the cake as far as quality goes. They are in a class all by themselves and it’s evident by the way people rave about this place. Get there soon! On behalf of Austin Party Ride, it has truly been a pleasure to compile this list of great establishments and locations in Austin for you. Austin is one of the most beautiful and active cities in the entire United States. There is a ton to do there and we tried to make sure to give you a number of options. If and when you come and visit, please take our advice and visit some of these 19 hidden gems. We promise you won’t regret it! Looking at moving to Austin? Well, you are going to need some real estate. Check out our friends over at VIP Austin Real Estate. Also, don’t forget to check out some of Austin’s neighborhoods with this elaborate Austin neighborhood guide.